“Antifa” is to violence what the Southern Poverty Law Center is to words. In short, it is a hate group on the left. 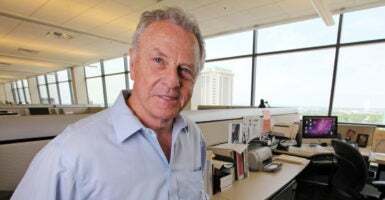 The SPLC smears individuals and groups it differs with by labeling them as some form of “hater”: “racist,” “white supremacist,” “extremist,” and the like. That it is cited and even relied upon by The New York Times, Facebook, Amazon, Google, CNN, and others, and that Apple gave the organization a million dollars, is testimony to the moral state of mainstream media and corporate culture in America today. Were the SPLC not quoted and used as a source, there would be no reason to pay it any attention. All the SPLC does is politicize, and thereby trivialize, the fight against racism and other evils. This kind of behavior should surprise no one. Since Stalin labeled Trotsky, the ideological leader of Soviet communism, a “fascist,” the left (not liberals, to whom the left is as opposed as it is conservatives) has libeled its opponents. Without lying about its opponents, there would be no left. Now the SPLC has placed an article about PragerU on its “Hatewatch” blog. It never actually accuses PragerU of “hate” because even it can’t substantiate such a charge. In over 300 videos, it could not find a single sentence countenancing hate or bigotry, so it simply describes two articles by outsiders about PragerU, knowing the dirty work will be accomplished via implication. The article is about two PragerU critics, Kevin M. Kruse, a Princeton University history professor who sought to rebut a PragerU video in a Twitter thread, and a self-described sociologist named Francesca Tripodi, who wrote an article examining PragerU’s reach. Now, Kruse may be right, and Swain may be wrong. But that has nothing to do with hate. Nor does Kruse imply that it does. So, the SPLC citation of Kruse is just deceitful. And how does PragerU blow these “dog whistles”? The article uses Tripodi to make its case. “To start with,” the article says, “when one visits the PragerU channel on YouTube, there is a column of ‘Related Channels’ with links to other outlets PragerU’s audience may find interesting: Fox News seems to be a no-brainer, as does The Daily Wire, given its founder Ben Shapiro’s relationship as a presenter for PragerU. But alongside those you also can find the channel of Stefan Molyneux, an extremist who espouses pseudo-scientific ‘race realism’ propaganda. Only a very careful reader will discern that PragerU has never had any connection whatsoever to Molyneux or any “extreme right content.” All Tripodi and the SPLC could write is that Google has “algorithmically connected” PragerU to such content. Needless to say, PragerU has no power over how Google algorithmically connects anything. Again, only a very careful reader will realize PragerU has no connections whatsoever to white nationalist thinkers. Rather, “some PragerU presenters” do. And who might they be? Tripodi and the SPLC give one example: Dave Rubin. Rubin made a video for PragerU titled “Why I Left the Left.” He is a very popular liberal video podcaster, and the fact that he is a gay Jewish liberal who left the left disturbs the SPLC. Now, do you know any gay Jewish liberals who support white nationalists? I doubt it. So, on what grounds is Rubin smeared in this way? Not because of any views he espouses but because he has interviewed the aforementioned Molyneux. As it happens, I differ with some of the admittedly little I have seen of Molyneux’s views (for example, I believe the entire race and IQ issue is utterly pointless and, on occasion, racist). But how does the fact that one PragerU presenter interviewed someone he disagrees with in any way impugn him—let alone PragerU? Of course, it doesn’t. But that doesn’t stop the SPLC hate site from drawing such tenuous “connections” to smear fine people. Would George Will, Bret Stephens, Charles Krauthammer—all Pulitzer Prize winners—Alan Dershowitz (a lifelong Democrat and Hillary Clinton supporter), Arthur Brooks, Jonah Goldberg, Bjorn Lomborg, UCLA psychiatrist Dr. Stephen Marmer, former White House press secretary Dana Perino, and Rabbi Joseph Telushkin (one of the most prolific living writers on Judaism), to name just some of our presenters, participate in a white supremacist endeavor? The implication is absurd—and libelous. 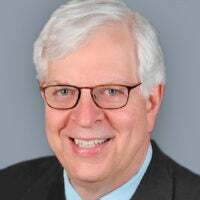 In addition to videos on current political issues, history, and economics, PragerU brings goodness and kindness into millions of people’s lives. It produces videos on forgiveness, refraining from gossip, raising grateful and kind children, remaining attracted to one’s spouse, God and suffering, happiness and the importance of gratitude, along with many other life-enhancing subjects. And these have been viewed by tens of millions of people—most of them under age 35. On any given day, PragerU increases goodness and kindness on Earth while the Southern Poverty Law Center increases anger and resentment. That’s why the SPLC hates PragerU. The bad hate the good. It’s a rule of life.